I do marketing for startups: most recently Gust. Outside of work, I co-publish the literary short fiction magazine delay fiction and play bass in the black metal band Floods. I love reading, music, my cat Cat Basketball, and learning new things—recently, programming and SQL. If something is truly worth doing, I do it hard, so I'm always working on learning whatever's necessary to make it happen. When my friend asked me if I wanted to start a literary magazine, I jumped at the chance to start and run something from absolute scratch. We kicked things off with a branding session where we discovered exactly what we wanted to publish, how we talked, and who we were as an editorial body. The concept we landed on was a five-times-annually online magazine that publishes stories at common travel times, focusing on well-written short fiction that exposes the interiority of its characters. The reading experience is like talking to the person on the stool next to you at a train station bar and gradually finding out that they're a total weirdo—so the weirder the characters, the better. 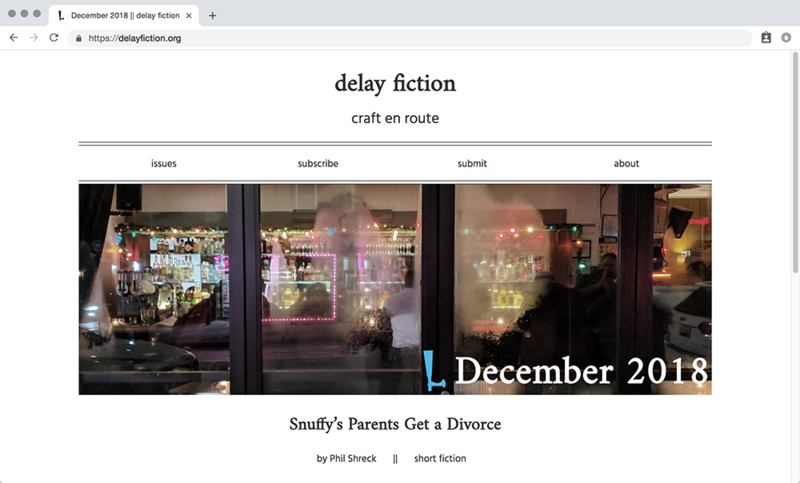 Delay Fiction was born! Over the next couple months I worked with my tech advisor Kara Bernert to build a Ruby build script that turns markdown into posts and issues, so we don't have to create static files by hand or deal with all the pagination. So far, it's working great, and since we coded it ourselves, I'm making incremental improvements as they occur to me or become necessary. From a mission standpoint, we also knew we needed to pay our writers. We use Submittable (and direct outreach) to source stories and use the nominal reading fee ($3 per submission) to pay each author we publish $50 per story. It's not much, but it's something, and for a startup non-profit litmag, that's fairly unusual. Now we just need Ottessa Moshfegh to email us back. As we were trying to grow Gust Launch from a transactional incorporation service into the go-to platform for founders running high-growth startups, we realized we needed to form relationships with our customers that would deliver recurring value and help them skill up as CEOs. As anyone who's ever run a business knows, the key to success is to keep an eye on your cash—so we built some simple, startup-founder-focused cash accounting tools on top of an expense tracker. From a three-month, psychology-style market research project I'd led the previous quarter, we knew that startup founders wouldn't pay for accounting until they felt like they couldn't do it themselves, and that they were usually surprised at how much it cost to start late. But instead of paying accountants, they weren't using Quickbooks themselves—they were using spreadsheets or, more often than not, just ignoring their expenses completely. We could kill two birds with one stone by offering a simple way to track expenses and also help founders understand why they should pay a pro as soon as they can. I spent some time with our accountants, learned a bunch about accounting on my own, and poked around the expense-tracking world to identify the features and functionality we could offer to customers: simple expense tracking, basic cash accounting stats, and as a bonus, tips about which startup costs and other expenses might be deductible from their corporate income taxes. Now we help founders avoid expensive accounting onboarding fees, pass them to our accounting partners sooner, and (most importantly) keep them coming back to Gust Launch. Gust Launch starts with the incorporation process—a legal wizard that walks founders through creating a new Delaware C-Corporation. Because the software was built with the expectation that a founder would only do this once (and everything else the product does expects it to have already happened) there was no easy way to demo the software for interested prospects. To give them an idea of what the software looks and feels like, I created a video that shows the incorporation process. This video is not exactly a live recording: it's a bunch of little screencaptures massaged, cut, and connected to simulate software use. 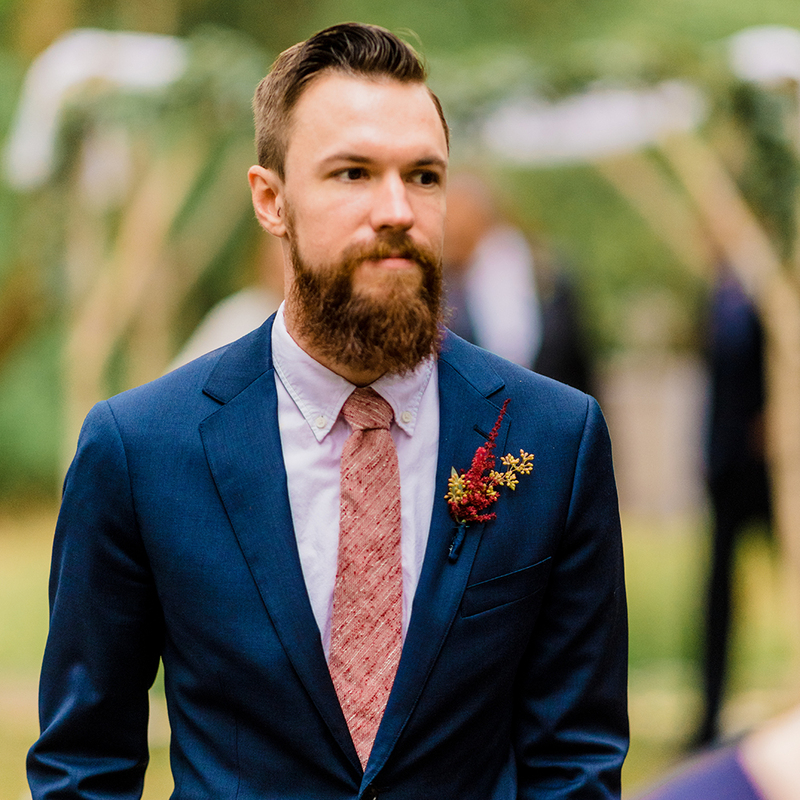 The founder (Jacob Barnes) walks through the incorporation for his company (AppBlaster, a phone app that downloads five new apps a day (obviously not real)) in about two minutes, but in reality it would probably take more like... five minutes. I shot the video using QuickTime, edited it using Adobe Premiere and Adobe Audition, and recorded about three minutes of off-the-cuff, highly ignorable guitar riffage for the de rigeur "inoffensive startup video" soundtrack. The voiceover was performed by a co-worker, but I wrote the script and produced the audio. The outcome? Viewing this video quickly became one of the strongest predictors of purchase. One of the problems facing Gust Launch's growth, especially in the early days, was our target customer's lack of legal literacy with regard to incorporation. What is it? Why should you do it? And why can't you just form an LLC and call it a day? Inquiring founders wanted to know, so I made this 27-page answer. 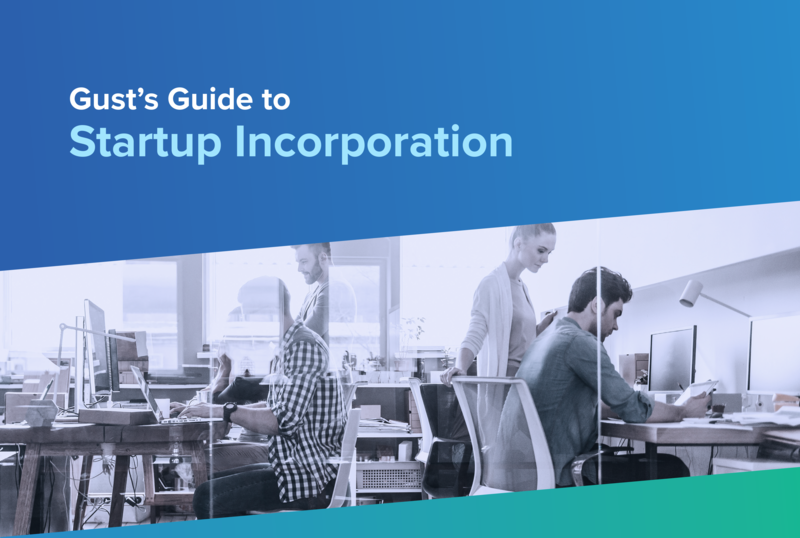 I supplemented my own research with interviews with internal subject matter experts to cover incorporation from every useful angle, keeping the startup-founder audience in mind. Then I handed it to our graphic designer for layout and made a landing page where prospects could download it—in exchange for qualifying information and an email. Even without active promotion, this ebook's landing page remains a viable source for lead gen via search engine traffic. NYC. Marketing Manager, October 2016 to April 2018; Senior Marketing Manager April 2018 to January 2019. Marketing/Content: edit all content, including social media, blog posts, educational email campaigns, and ebooks. Own all marketing automation. Contribute to data tracking and analytics to support marketing efforts. Contribute to development and maintenance of marketing websites. Co-developed blog software and produced a post per week during project duration, clearing 15k pageviews by week two. Oversee and edit contributions from other marketers and thought leaders. Produce product videos as necessary. Product: defined direction for Gust Launch repackaging and development through 3-month research project, leading to sustained increase in higher-tier package subscriptions. Defined, researched, and contributed to development for in-platform financial tracking and education featureset. Contribute to product development and write copy for acquisition experience tools. Strategy: completely own Gust Launch SaaS upsell strategy. Co-own acquisition strategy with Senior Director of Marketing. Designed and implemented 20-workflow mid-funnel email nurturing automation system for 200k+ contact database. Co-own conversion strategies and optimization. Defined paid search strategy for $20k monthly AdWords budget, reducing CAC from over $1000 to $66-$300 depending on campaign. Own SEO strategy. Brooklyn. Brownstoner Product Marketing Manager, January 2016 to September 2016. Marketing/Content: owned social media strategy, including posting 20-30x daily across multiple social channels to audiences up to 15,000 followers and subsequently overseeing social media marketing coordinator. Produced ad collateral as necessary. Executed social media advertising campaigns for Brownstoner and customers. Product: built and operated MVP “concierge” service to drive leads to advertising customers, increasing customer retention and renewal rates by circulating average 30 new leads to customers per week (2-3x increase). Led UX analytics development. Strategy: led rollout of rebranded Brownstoner, including writing copy and producing video assets. Owned community management and customer success efforts. Implemented marketing analytics systems. NYC. Marketing Manager, September 2014 to December 2015. Marketing/Content: owned blog, social media, and email initiatives. Filmed and produced product and marketing videos as necessary (product photography, animation, and live action). Strategy: contributed to implementation and rollout of freemium pricing model, including conversion optimization. NYC. Writer/Social Media Strategist, October 2012 to August 2014. Boston. Marketing Intern, April 2012 to August 2012. New London. August 2008 to May 2011. BA: Literature with Film Studies minor conferred May 2011. Amherst. August 2007 to May 2008. English and Film. NYC/Worcester. Co-Editor & Executive Director, May 2018 to present. Co-edit and publish nonprofit literary magazine five times annually. Build and maintain website and handle all operational needs. Connecticut College. Dorm Rep, September 2009 to May 2010; Concert Chair, May 2010 to May 2011. Organized, booked, executed, and promoted both a weekly concert series ($18,500 budget), increasing average weekly attendance from 10 people to 60 through rebranding and social media avenues, and a school-wide year-end concert ($30,000 budget). Connecticut College. Writing Tutor, September 2009 to May 2010. Workshopped writing for students across all majors to improve coherency and competence. Connecticut College. Magnet School Tutor, September 2009 to May 2010. Tutored local magnet students in AP Biology, Chemistry, Algebra I & II, and Geometry. Connecticut College. Staff Writer, September 2009 to May 2011. Pitched, researched, and wrote local news, opinions, and arts articles. Edited other writers’ articles for content, layout and substance. For job opportunities and freelance/contract project information, send me an email. If your inquiry is related to delay fiction, please email me at my delay email.